Jennifer is scheduled to have a Deal against Kimimaro, who is currently making strides with his new strategies. He is approached by his next opponent, a celebrity named Kō Sennoza, who offers him a way to pass on his deal. Later, Kimimaro is approached by Jennifer, who mentions Mikuni is using a lot of his own future to help minimise the effects of other's deals. Kimimaro talks with Kō the next day, who says everytime the Guild acts, more Midas Money appears in the world, also mentioning some of the effects his own loss to Mikuni had on other people's futures. 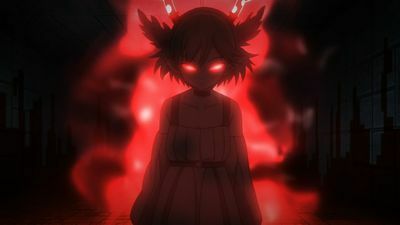 After a bleak conversation with Mikuni, Kimimaro goes through with his Deal with Kō, whose powerful Asset causes serious damage to Msyu as she defends Kimimaro. As Kimimaro resolves to protect the things close to him, he musters up the strength to defeat Kō, the result of which puts him out of business, but he keeps his positive attitude, saying that he has the potential to fight his way out of the Financial District. Kimimaro finds himself up against one of his teachers, Mr. Ebara, and defeats him, making him bankrupt. The next day, Ebara brings Kimimaro over for a talk, revealing that he entered Deals to support his family and his punishment for bankruptcy made it so his children never existed in the first place. He also mentions the Starling Guild which Mikuni is a part of, supposedly trying to prevent the Financial District's effects on the real world. Mikuni brings Kimimaro to observe one of his duels against another high level Entre, purposely holding back his strength to win by a 1% margin so that he doesn't effect the real world. After witnessing the duel, Kimimaro becomes determined not to lose so he doesn't have to make anyone else suffer. Mikuni's past is detailed, in which he quit his passion for music to become an executive secretary for his father. When his terminally ill sister Takako's condition started to worsen, his father places more importance on his corporation and his public image rather than sending his daughter overseas to receive a medical procedure which may save her life. 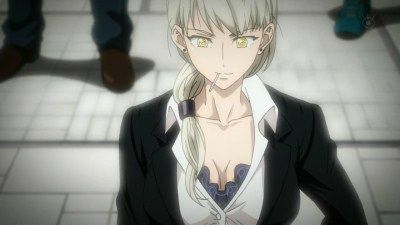 After denial of treatment to Takako puts her into a permanent coma, Mikuni focuses on business and is soon approached by the Midas Bank and begins dealing in the Financial District. Back in the present, Msyu reflects on her relationship with Kimimaro, who becomes curious about the nature of futures which take the form of Assets. When Kimimaro notices an Entre harassing his Asset, he initially holds in his irritation, but after talking with Msyu, he decides to go back and punch the offending Entre. Msyu takes an increased interst in human behavior and asks a flustered Kimimaro what kisses are and attempts to place one on him. As Kimimaro goes home one night, he starts to notice a few buildings disappearing. As some of the Financial Districts banks start becoming bankrupt, the country starts rapidly shifting into poverty around the Entres, with people becoming lethargic or disappearing altogether. 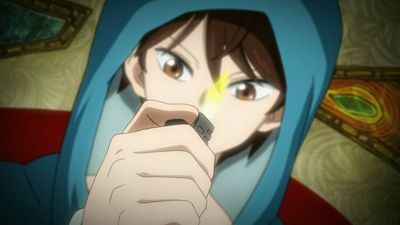 After stopping Ebara from committing suicide, Yoga tries to convince Masakaki to let him pay a fee in order to return Ebara's future, but is told that it is beyond his power. As Yoga later learns Ebara had died in a car accident, he decides to burn a large amount of his Midas Money. As Mikuni and the Starling Guild plan to put a plan called "C" into action, the Southeast Asian Financial District goes bankrupt and starts disappearing, along with Singapore. As Singapore disappears parts of Hong Kong and Shanghai are affected. 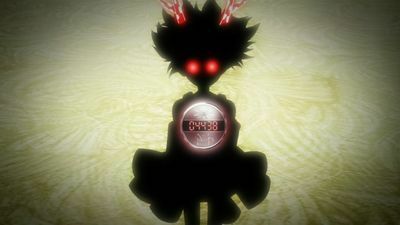 Mikuni uses his ability ("Darkness") to preserve Japan the way it is before it is affected by the financial collapse of Southeast Asian Financial District. 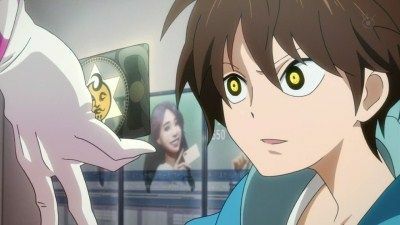 In exchange for 20 years of Mikuni's future Masakaki allows the printing of a large quantity of Midas Money which is deposited into his account. Mikuni and his colleagues use the Midas Money to invest in failing institutions all over Japan. Artificially propping up failing banks and enterprises spares the Japanese economy but with that comes unintended consequences. Though the present is saved, the future of Japan is uncertain. People begin disappearing, poverty increases, birthrates decline, and morale is seen dropping all around. Kimimaro is brought to the Financial District in which he must participate in Deals, battles in which money is wagered, using an Asset named Msyu. Kimimaro and Msyu are instantly thrown into a Deal against a powerful Asset named 'Gig'. With Kimimaro not able to understand the situation, Msyu takes a lot of damage defending him. However, Msyu manages to teach Kimimaro how to use her ability, which manages to defeat the opponent, though he passes out soon afterwards. Kimimaro returns to the real world, where Masakaki informs him the next Deal will take place in a week's time, and soon finds he has even more money in his account. Later on, Kimimaro starts noticing that some money bills appear black for him, which Msyu explains is money from the Financial District. Kimimaro then ends up encountering Mikuni, who explains about the black bills, known as Midas Money, and hints that he knows of Kimimaro's father. Mikuni explains the purpose of Starling Guild, to win by small margins in order to avoid affecting reality, to Kimimaro, though his attempt to put it into practice fails due to Msyu rushing in. Hearing from the taxi driver that even those with small losses may have their 'future' affected, Kimimaro grows concerned about whether his loss has affected any of his friends or family, though it appears to only affect his test results. Meanwhile, Kimimaro grows concerned about the Basho Pharmaceutical company, which could affect thousands of people if it faced bankruptcy via deals. Kimimaro later learns the company was bought by another company owned by Mikuni, in order to reduce its effects on reality. Mikuni later explains to Kimimaro that he is trying to maintain a balance between reality and the Financial District, since ridding one of the other would cause chaos. Kimimaro decides to join the Guild and start controlling his Deals. 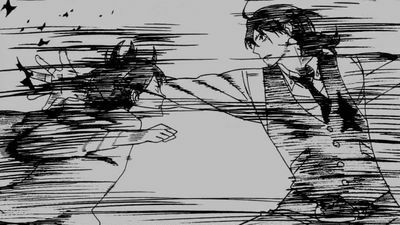 Kimimaro and Mikuni begin their duel, going all out on each other. Mikuni puts Kimimaro in a tought spot, but his powers start to weaken thanks to the decreasing value of the Yen, with people soon starting to see Midas Money for what it truly is. As Kimimaro continues to fight with Mikuni, Msyu pleas with Q, who is based off of Takako and starts taking her form. 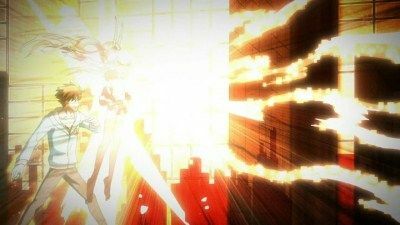 The battle is concluded when Midas Money disappears from the world along with Mikuni's powers, allowing Kimimaro to deal the winning punch and C to pass through Japan without influence. Declared the winner, Kimimaro orders the reversing of the presses, with the futures returning to their original place. With the Assets disappearing as a result, Msyu gives Kimimaro a kiss before she disappears. Kimimaro returns to reality to find that US dollar has become Japan's official currency, and everyone's futures have been returned to them. 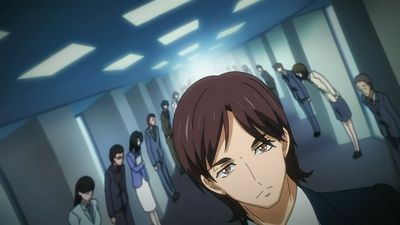 A man with no money uses a certain credit card which grants him access to the surreal Financial District, where he engages in a battle against a man named Sōichirō Mikuni, fighting with mysterious creatures, and is defeated and ends up committing suicide the next day. Meanwhile, a boy named Kimimaro Yoga is working two part time jobs to raise money for his future. 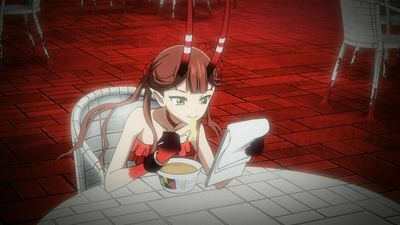 One evening as he is trying to study for a pop quiz, he is approached by a mysterious man named Masakaki, who announces that Kimimaro has been chosen to become an entrepreneur at a mysterious bank. The next day, Kimimaro is surprised to find 500,000 yen deposited into his account. Whilst wondering what he should do about it, Kimimaro considers using a small amount so he can attend a kegger with his friend, Hanabi Ikuta. However, as he withdraws the money, he is once again approached by Masakaki, who places him in a taxi bound for the Financial District. The North American Financial District starts increasing the value of its assets when their Entrés begin flooding the world economy with dollars. Mikuni decides to use the black card and the Midas Money press once more to prevent the Japanese economy from financial collapse. Jennifer, Kimimaro and Takedasaki put a plan of their own in motion to stop Mikuni before the transaction is complete in an attempt to save the future, but the plan backfires when Mikuni defeats Jennifer in a deal. In her final action she passes Georges to Kimimaro. Kimimaro confronts Mikuni about using the Midas Money press but he hears none of it and opts to print once more in exchange for rest of his future. With the help of Masakaki, Kimimaro realises he is in possession of a black card of his own, giving him the means to revert the press. This quickly escalates in a struggle for control over the press with Mikuni and Kimimaro engaging in a deal. Jennifer Sato is an Entre from an organisation trying to discover the purpose of the Financial Districts. Meanwhile, Kimimaro goes to visit his aunt to ask about his parents, who mysteriously disappeared one day. Whilst looking for his dad's belongings, he finds a journal pertaining to the Midas Bank and decides to go to the Financial District for answers. Mikuni takes him to meet a strange photographer who tells him that his father was a stronge Entre who went 'bankrupt' in a deal and ended up hanging himself. Although Kimimaro is initially annoyed that all his father thought about was money, Mikuni hints that it may have been for the sake of providing for his family, suggesting he should think of something or someone to use his money for. Kimimaro soon enters his second deal, where he encounters a familiar face.